Grusomhetens Teater will be re-mounting their 2014 world-premiere production of Henrik Ibsen´s 1860 prose fragment Svanhild this autumn. Winner of the 2014 Oslo Prize for Best Performance, Svanhild has also been presented as part of the National Theatre´s International Ibsen Festival (2014), at the Oslo Opera House (2015), and at the Ibsen Awards at Teater Ibsen in Skien (2016) in Norway; as well as the Platonov Arts Festival in Russia (2016), and at Theater X in Japan (2016). 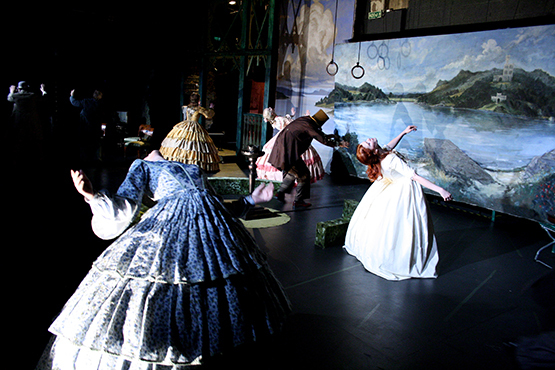 Directed by artistic leader Lars Øyno, Svanhild is the 2nd world-premiere Ibsen production by Grusomhetens Teater, following their 2009 production Fjeldfuglen, based on the 1859 opera libretto. Svanhild will play 17-21 October & 24-28 October at Grusomhetens Teater´s newly-renovated venue, which was made possible through the generous support of Oslo Kommune.